To make STEM enrichment programs affordable and accessible to all students without compromising the quality behind each workshop. Eureka Enrichment Services, Inc. works continually to stay on the forefront of the most effective curriculum in STEM education. Constant research and collaboration with our prominent STEM Advisory Panel allows us to evaluate and select only the most dynamic, effective and inspiring STEM curriculum available in education. We then search out the most promising teachers and STEM candidates to teach our workshops. We work closely with our staff to ensure that everyone on the Eureka team is just as committed to students, learning, and STEM. The high level of professionalism and commitment define and mark our work. A strong work ethic remains at the core of who we are and what we stand for. 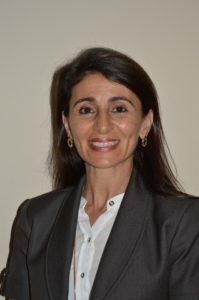 FOUNDER AND DIRECTOR, EUREKA ENRICHMENT SERVICES, INC.
Miray Ramy is the founder of the Eureka Enrichment Services, Inc. Fueled by a passion for quality driven learning opportunities; she established her first enrichment Summer camp in 2004. She has been an educator since 1997 and has proudly taught in Massachusetts, Vermont, New Hampshire, and Puerto Rico. Her Summer camps began in response to the need for summer enrichment opportunities for children in Puerto Rico. As a result, Miray became a proud pioneer in quality driven summer learning programs and has since evolved her passion into a respected year round educational services company. In 2012, Miray became the official partner for FIRST® LEGO® League in Puerto Rico and in 2015, she became the official partner for FIRST® LEGO® League Junior in Puerto Rico. Smart is Beautiful, a STEM workshop for girls, took flight in 2014 and continues to be one of Miray’s special project to close the gender gap in STEM fields. Most recently, Miray became the official director for the Puerto Rico Chapter of the Howard Scripps National Spelling Bee. 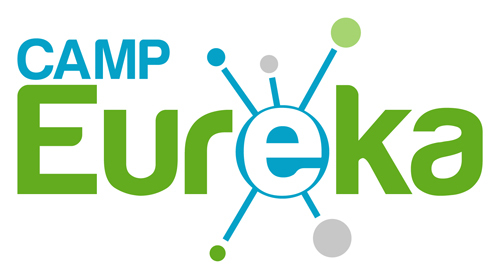 Miray founded Eureka Enrichment Services, Inc. in order to provide a united platform for interested private companies to become sponsors and supporters of these great programs. As the company continues to grow and gain support from local and national organizations, it remains steadfast in its resolve to provide the highest standard of academic opportunities at an affordable cost to all families. Roberto Gorbea has been involved with Miray’s summer camps since 2004. He was excited to take on the role of lead teacher for the Star Wars Video Production starring his own campers. After several successful and rewarding summers inspiring children, Roberto has joined together with Miray in her most recent endeavors as a part time contributor to all things technological, technical, and fun. His most recent role has evolved into FIRST LEGO League Tournament Director, where he serves as a critical support staff for coaches and teams. In addition, he manages the quality control of Tournaments ensuring that all FLL events uphold the standard that defines FIRST® LEGO® League. 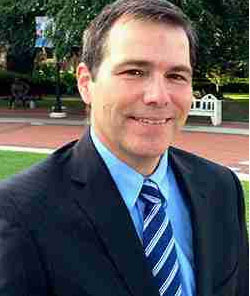 Mr. Gorbea graduated from Middlebury College with a BA and continued on to New Orleans University where he obtained a Master’s Degree in Business. Nicole González is the Director of Community Relations for FIRST LEGO LEAGUE. She joined the Eureka STEM team through the VISTA program established with FIRST. She works arduously to grow robotics teams throughout the region and focuses on growth for underrepresented groups such as Girls in Engineering, minorities, and families with economical hardships. Ms. González works closely with municipalities and school districts to find sustainable solutions for engaging communities with FIRST LEGO League Robotics. Ms. González studied Event Production and Marketing in the Universidad del Sagrado Corazón in Santurce, Puerto Rico. 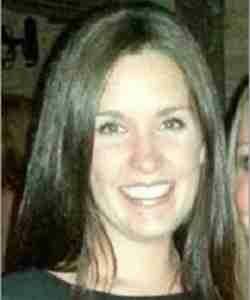 She is currently finishing her Masters degree in International Marketing. 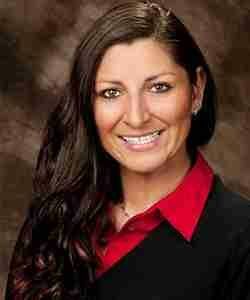 She holds several years of experience in event coordination, sales and marketing.Ms. González is a vital part od eureka STEM’s mission and vision. Mariam Gorbea started out as camper during the very first summer camp offered by Miray. Later, she became Snack Bar Manager and a Counselor-in-Training, before moving on to run an entire camp site as Camp Site Director for the 2014 Summer Session. In 2016, her third year as Site Director, Mariam successfully organized and led her first stateside summer program in Florida. She also developed the curriculum for the 1st – 3rd grade science workshop, using her background in psychology to create engaging, fun, and highly educational lessons. Her experience and passion for STEM have fueled successful projects of community engagement, outreach, and growth. As Director of Social Media Campaigns and Community Engagement, her vision for Eureka’s Social Media growth is focused, organic and effective. Her current role will allow her to bring life to the creative, youthful, and modern strategies required to keep Eureka at the forefront of STEM excellence. Mariam is a student as the Lynch School of Education at Boston College pursuing a major in Applied Psychology and minors in French and Management and Leadership. 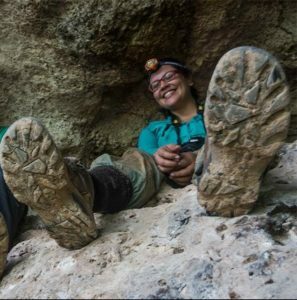 Eneilis Mulero is a biologist studying the behavior of snakes and has extensive experience educating K-12 students and the general public on her post-graduate research as well as environmental science awareness and outreach. She has been involved in the FIRST® LEGO® League Puerto Rico since early 2017 as a research mentor. Afterward she has been working to recruit and consolidate potential participants, teams’ resources and sponsors in Puerto Rico for participation in diverse FLL® events. 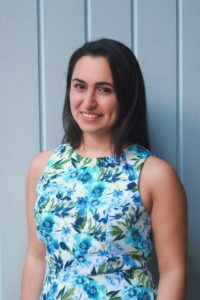 Ms. Mulero studied biology at the University Of Puerto Rico (UPR), Rio Piedras Campus and is pursuing her Master’s degree in Biology at UPR Mayaguez. 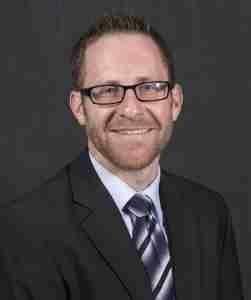 Mr. Carberry is an assistant professor in The Polytechnic School within Arizona State University’s Fulton Schools of Engineering. He earned a B.S. in materials science Engineering from Alfred University, and received his M.S. and Ph.D., both from Tufts University, in chemistry and engineering education, respectively. Carberry teaches use-inspired design courses utilizing a project-based approach. His research investigates the impact student characteristics (self-efficacy, epistemological beliefs, motivation, and associated value) and pedagogical approaches (standards-based grading, project-based learning, service learning, and reflection) can have on learning in engineering education. Carberry is a past recipient of the Apprentice Faculty Grant from the American Society for Engineering Education (ASEE) Education Research and Methods division and Frontiers in Education Faculty Fellow Award. 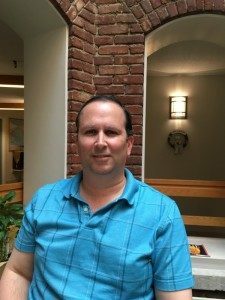 Carberry was previously an employee of the Tufts’ Center for Engineering Education and Outreach and manager of the Student Teacher Outreach Mentorship Program (STOMP) where he received the Tufts University Presidential Award for Citizenship and Public Service. He also currently serves on the LEGO Education Ambassador Program, a distinction in parted on him for having previously facilitated over 20 LEGO Engineering workshops around the world. Ronald L. Carr, Ph.D., a faculty member of Florida State University, works for the Learning Systems Institute (LSI)- Florida Center for Research in Science, Technology, Engineering and Mathematics (FCR-STEM) providing training to teachers who write and publish Integrated STEM/Mathematical Modeling activities. Those activities are available for free to teachers at CPALMS.org. He also does research to evaluate the training outcomes for teachers and their effect in the classroom. Prior to working at LSI, Ron was the P-12 Engineering Education Research Fellow at Purdue University’s Institute for Pre-College Engineering. In that role, he designed engineering curricula for P-12 classrooms, did extensive research in integrated engineering, and delivered instruction a STEM teacher academies. He has three degrees from Purdue, a Ph.D. in Learning Design and Technology, an M.Ed. in Gifted, Creative, and Talented Studies, and a B.A. in Elementary Education. While an undergrad, Ron was able to travel to Russia two times for study abroad and also to San Juan where he was an intern/robotics instructor for Camp Eureka. Those travels and others during his education fueled his passion for travel and ignited his love for Puerto Rico! Pettee Guerrero graduated from Triton College in 2012 with an Associate Degree in Applied Science in Engineering Technology. She transferred to Northern Illinois University, where she graduated in 2013 with a Bachelors in Science in Industrial and Management Technology. Pettee Guerrero is currently a graduate student in Mechanical Engineering Master Program. She works full time for STEM (Science, Technology, Engineering and Math) Outreach office at NIU. Her work consists of visiting schools and inspiring kids to pursue careers in STEM fields. Pettee connects with approximately 1000 kids on a monthly basis and shares her passion for engineering with them. Pettee recently became the Illinois leader for National Girls Collaborative Project where she links people and organizations from different schools and careers, to provide them with materials to inform and encourage girls to pursue careers in STEM fields. Pettee spends her summers organizing and chaperoning STEM camps at NIU. 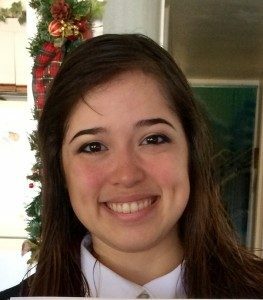 She also spends a month in Puerto Rico each summer working for Camp Eureka, where she teaches young boys and girls robotics and engineering. Pettee’ s passion about engineering is inspiring and unstoppable. Guerrero has dedicated her life to increasing the passion for STEM in younger generations, while becoming a professional engineer herself. Odesma Dalrymple, a native of the Republic of Trinidad and Tobago, is an engineering education scholar by training. She attained a PhD. in Engineering Education from Purdue University; and a MEng. in Industrial Engineering and a B.S. in Electrical Engineering, both from Morgan State University. Dr. Dalrymple conducts research on tools and techniques that can be readily applied in real engineering learning environments to improve student learning and teaching. In this respect her two prominent research contributions are with: 1) artefact-inspired discovery–based pedagogy, i.e., learning activities where students’ exploration of STEM knowledge is self-directed and motivated by interactions or manipulations of artefacts; and 2) the development of faculty expertise in outcomes- based course design through the use of the Instructional Module Development (IMOD) system, a self-guided web-based training tool. Dr. Dalrymple has developed and applied both of these research areas to domestic and internationally focused initiatives. For example, as a Co-PI on the United States Agency for International Development (USAID) funded Vocational Training and Education for Clean Energy (VOCTEC) project, Dr. Dalrymple led the assessment and evaluation team, and used her work on the IMOD system to guide the development of outcome based education training on renewable energy technologies in Guyana, Fiji and Liberia. In addition to USAID, Dr. Dalrymple has collaborated with other colleagues to receive funding to pursue joint research ventures from other federal agencies such as the National Science Foundation (NSF – TUES Program) and private organizations such as ASU Foundation’s Women & Philanthropy. The dissemination of Dr. Dalrymple’s scholarly work is spread across multiple venues with the intent of primarily reaching practitioner educators at the university and K-12 levels. As a result, workshops and seminars constitute a significant portion of her dissemination portfolio, in addition to a number of peer-reviewed journals and conference proceedings. Dr. Dalrymple is also the co-founder of the STEAM LabsTM program, an outreach initiative that challenges teams of participants to learn and apply the engineering design process to build chain-reaction machines in a project-based environment that can span one or more sites connected through the Internet. The program teaches participants real-world engineering skills, provides experience with systems thinking and multi-team collaboration, and creates a pathway for participants to master 21st Century competencies and better understand careers in engineering, and other science, technology and math fields. This program has been successfully deployed in formal and informal education settings with 1700+ middle and high school students across 18 U.S. sites and 1 site in Trinidad and Tobago. A total of 550 teachers have also been trained to implement aspects of this program through various workshops. Ms. Morrison received her BS in Electrical Engineering in 2015 from Northern Illinois University. 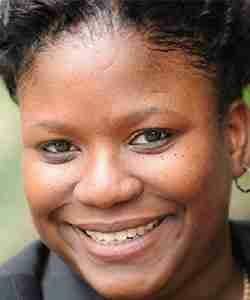 She has worked with United Technologies Corporation Aerospace Systems in Rockford, IL. She is a staunch advocate of all initiatives to support Girls in STEM and Women in Engineering. She was an active and effective President of the Society of Women Engineers, Region H. In this position, she grew the chapter, strengthened outreach programs and launched strong fundraising events for the organization. She has developed and led engineering based curriculum for elementary aged students. Ms. Morrison was a dynamic STEM instructor for Camp Eureka in summer 2014. Her passion for education and all things STEM propel her work and her commitment for Engineering Education initiatives.